Cowabunga! 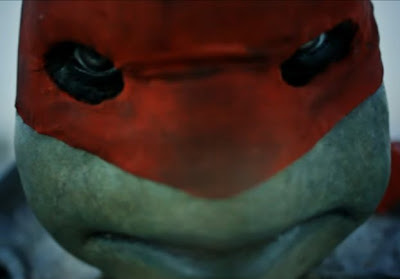 The Turtles are back in this fan-made short film. Grim and gritty, tinged with a dose of dark reality seemed to be the way to go for reboots these days, with the fan-made Mortal Kombat film, Mortal Kombat: Rebirth (now an officially sanctioned web series) being a staple example. In this fan-made short film, "Fight The Foot", the Teenage Mutant Ninja Turtles returns in a dark and dreary way. While April O'Neil predictably dumps her signature yellow jacket, the Foot Soldiers also gets a reality-based makeover covered in leather and gas-masks. Fortunately, we did not get to see a more "reality-based" version of the Turtle in question. The action adventure vibe would stopped right on track to turn into a full-blown creature horror feature with that one. April O'Neil reported on a new gang in the streets. Then it got personal. Only those below the streets can help her now.